The 35th Anniversary of the Ghostbusters is upon us! Let's celebrate with four spooktacular weekly comics featuring different Ghostbuster teams in all-new standalone adventures! Some people wish for the ability to fully communicate with the animals around us, but when the furry, feathered, and finny inhabitants of the Central Park Zoo star talking and demand their release, the people of New York just wish they'd shut up! Egon Spengler and his EXTREME GHOSTBUSTERS race to answer the call, unaware of one creature's fiendish plot to control the possessed animals and drive them to attack humanity in revenge for their incarceration. 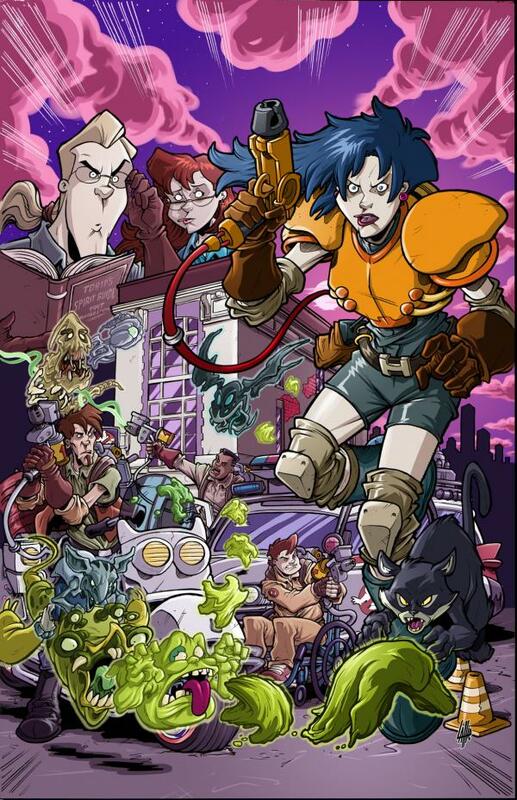 The Extreme Ghostbusters in an all-new original adventure by the mega-extreme creative team of JIM BEARD & Keith Dallas (Ghostbusters Con-volution) and Tim Lattie (Ghostbusters: Crossing Over)!